British Racecar is uniquely focused. Our mission is to present British race cars in greater technical detail than you'll find elsewhere. We include some pithy historical notes for context, but British Racecar is really all about design and construction, and about how cars have been specially built or modified for racing. Got something to say? Questions? Comments? We invite you to join the discussion on our racing forum. 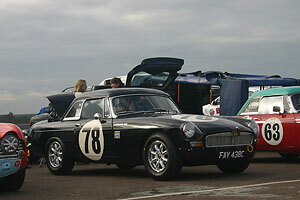 Notice: all the articles and almost all the photos on BritishRacecar.com are by Curtis Jacobson. (Photos that aren't by Curtis are explicitly credited.) Reproduction without prior written permission is prohibited. Contact us to purchase images or reproduction permission. Higher resolution images are optionally available.